The upward pressure on pricing has been fierce. 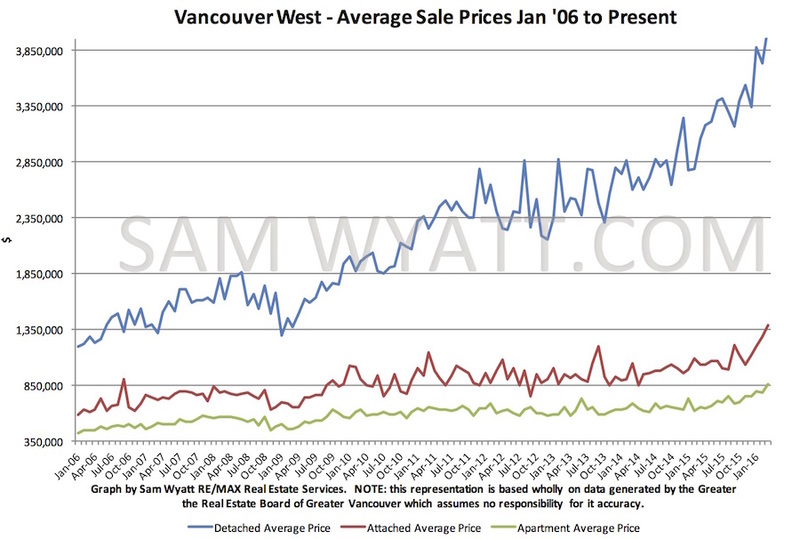 The average selling price of a westside detached home in Vancouver was over $4,000,000 in March! The average price for an attached home was almost $1.4m and the average sale price westisde apartment was over $850,000!! What is driving these huge price increases? 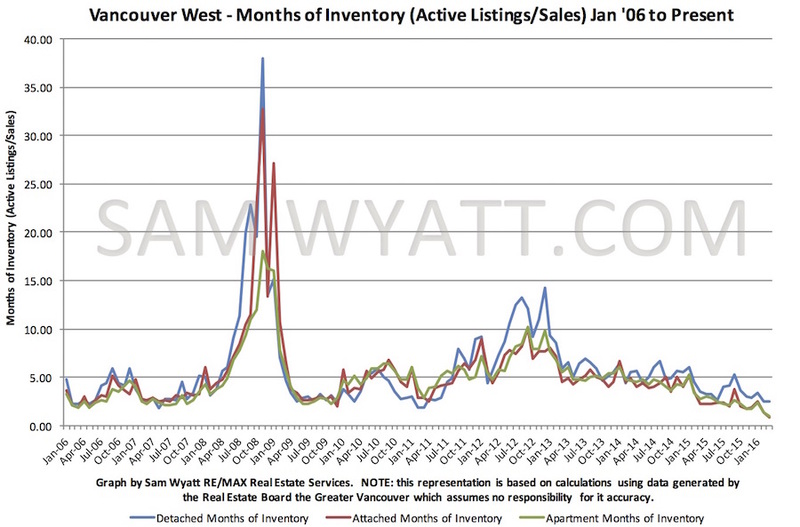 Sales volumes are at or near all time highs. 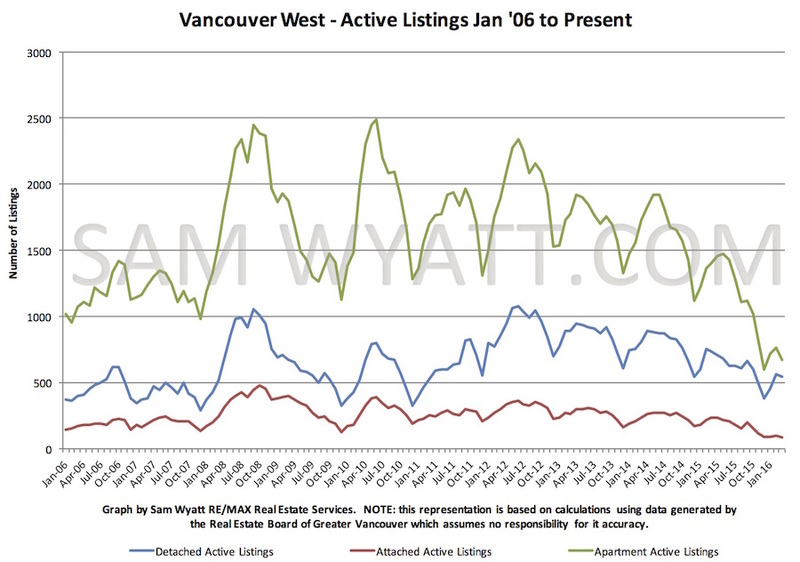 More signifficantly, active listing volumes are at ultra low levels not seen in the past decade for apartments and attached homes. 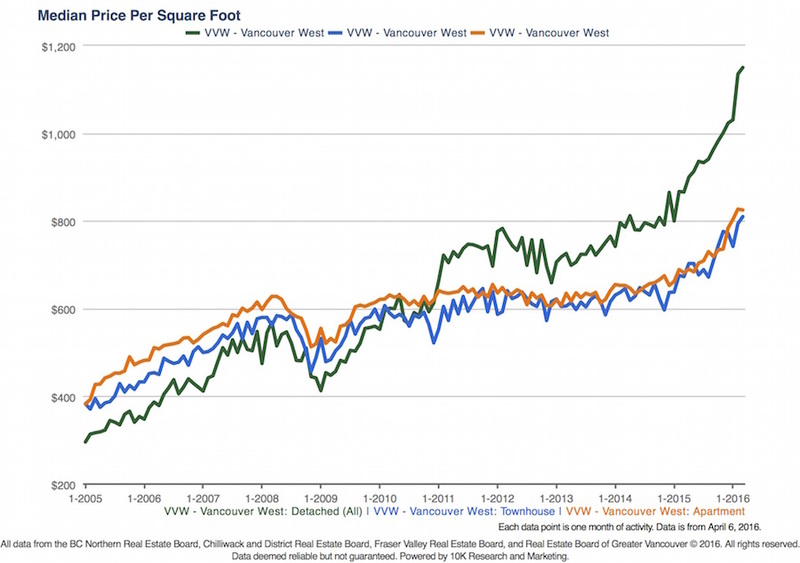 In spite of huge recent price gains for apartments and attached homes, the spread between their median prices/sq.ft. 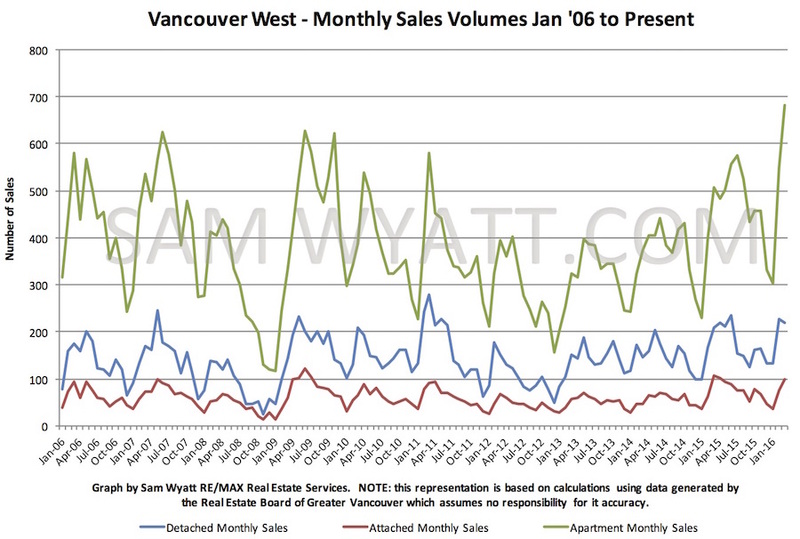 and that of detached homes remains over $300/sq.ft!!! It is a great time to downsize.